This post has been on hold for a while! Which seems fair because the birthday treat for Steph was also pretty late. It was a scorching hot summer day in London and we sought the cool interior of the orangery at Kensington Palace to hide from the glare. Now, i’m not very used to frequenting fancy eateries, and on first glance the orangery did look rather fancy. There were men in expensive looking suits and very well dressed yummy mummies enjoying afternoon treats. Our waiter, however, was new to the job and more than overjoyed at having us to serve. He made us feel very welcome, even though he forgot to bring us plates and we had to sneak over to the shelf and help ourselves when nobody was looking. Sometimes an honest nature and good attitude makes it easy to overlook a person’s mistakes – or perhaps it is just very British not to want to embarrass the waiter by pointing out that he didn’t wait on you very well! The afternoon tea itself was lovely. 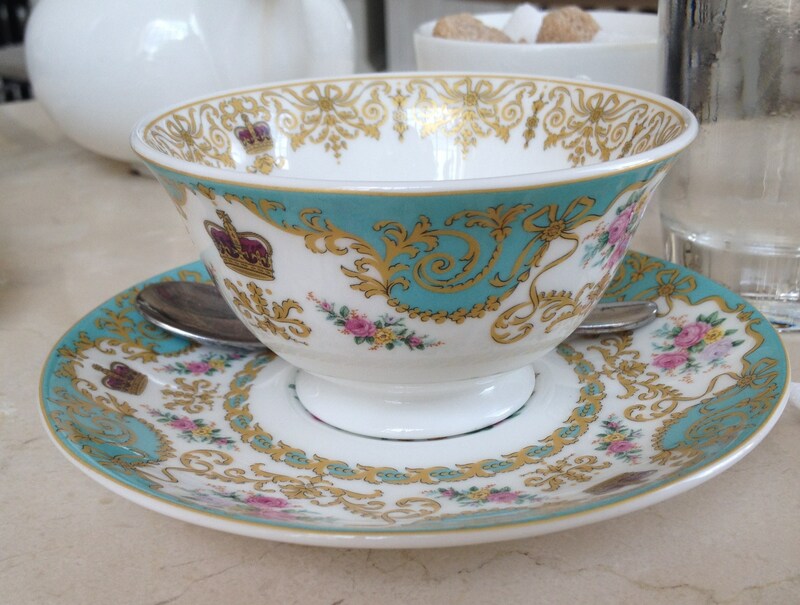 We loved the teacups, which reminded us that we were in a royal venue! They set the scene for a very British experience. Scones that Mary Berry would have been pleased with, except for those nasty sultanas snuck into two of them. The selection of cake was also very quintessential, lemon tarts and Victoria sponge. 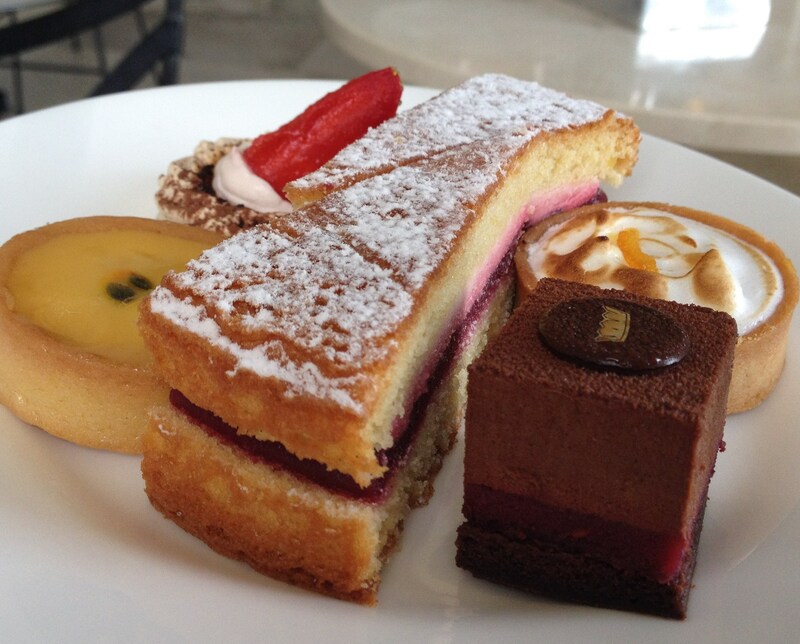 Looking back it was as if our afternoon tea was foreshadowing the Bake Off final! The cake was all very well done, the passion fruit tart was my favourite and I know Steph would say the chocolate was hers. I shall judge the experience on the Victoria Sponge, because it is classic and if a restaurant isn’t getting that right then they are going wrong. It was a decently moist cake but with a slightly odd jelly-ish filling rather than jam which didn’t really stick the two halves together. A very good try at modernising perhaps, but it could have done with a gooey-er filling. Atmosphere: 6/7 – really lovely feeling and welcoming atmosphere. Cake: 5/7 didn’t wow me. 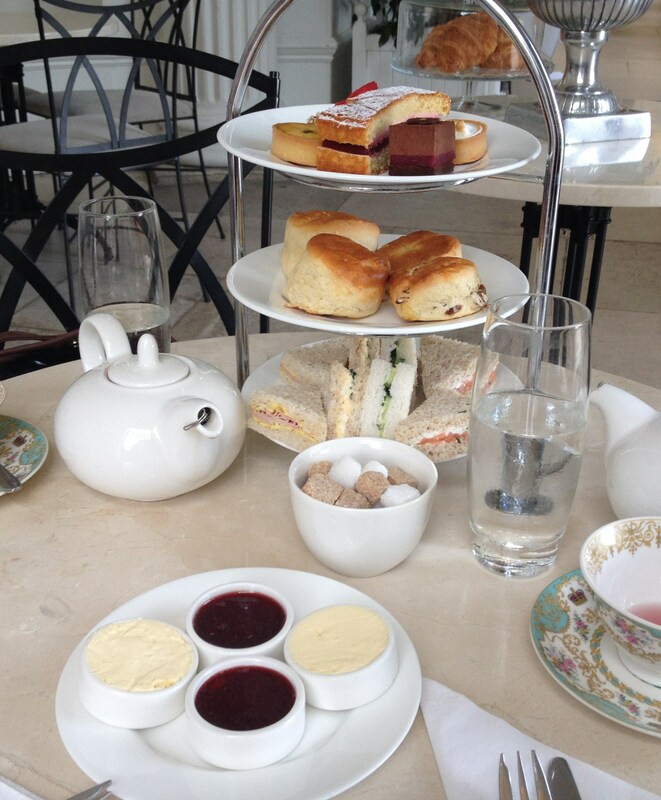 This entry was posted in Cake Adventures and tagged afternoon tea, cake, Kensington Palace Orangery by sugarfreeamy. Bookmark the permalink.